There is nothing more versatile than a beautifully made t-shirt. The classic t-shirt goes with everything from skirts and leggings to shorts and jeans and has the ability to work with everything. Our Custom Slouch T-Shirt is no exception. A handmade slouchy t-shirt, made and printed in the UK, customised by you. Make your own t-shirt with Contrado online and showcase your designs on the front and back with your label. This boyfriend t-shirt is made from jersey fabric in a comfy, relaxed fit but still styled to look feminine and flattering. Slogan t-shirts and t-shirts with graphic prints are in constant demand all over the high street. There is even a plethora of designer t-shirts out there, which look fabulous but can cost a small fortune. Why be limited to what designers and stores can make for you? Your style is personal and your wardrobe should be, too. Our Custom Slouch T-Shirt is printed edge to edge with deep fibre printing. You can even design a bespoke clothing label, which is excellent for branding. Handmade and printed by us in London, this slouchy ladies t-shirt is just what you have been looking for. The most standard jersey fabric for printing clothing, the 160gsm jersey is a lovely soft fabric, which lends itself very well to personalised t-shirt printing. It is slightly more opaque than the 130gsm fabric and colours and details show up wonderfully clear against the white base. This lively jersey fabric bounces back into shape when manipulated. This custom printed cotton jersey has a medium weight and drape and is moisture wicking, so is a great choice for customised clothing. Colours and detailing print very well while repeat patterns look best. Our Cotton Jersey is a natural cotton and has a slightly off-white base tone, giving slightly muted colours in comparison to the other jerseys. This heavy jersey fabric is the most opaque option for your personalised t-shirt. 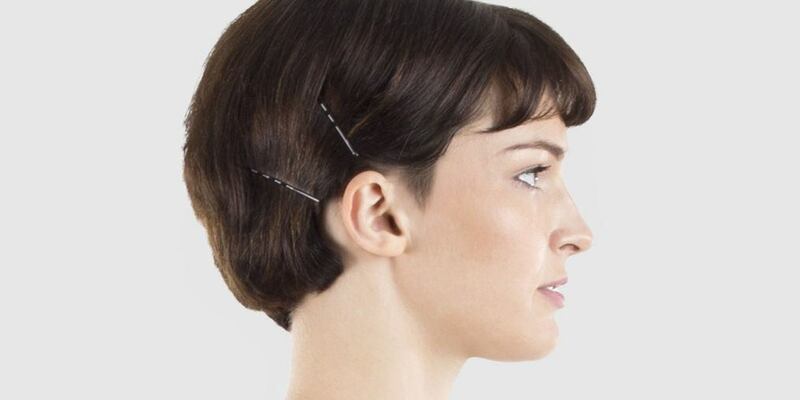 It is extremely soft and comfortable to wear and is hugely elasticated . T-Shirts made out of this jersey are perfect for casual wear and sportswear. The white base colour showcases colours boldly. There are a lot of choices for personalised t-shirt printing. We like to think that we are different and stand out from the crowd, with our range of customised t-shirts for men and women. We design every t-shirt pattern ourselves and hand make them in London with a 48 hour turnaround. Most of our t-shirts are also available with next day delivery. Looking to sell your designs, but want that professional touch? 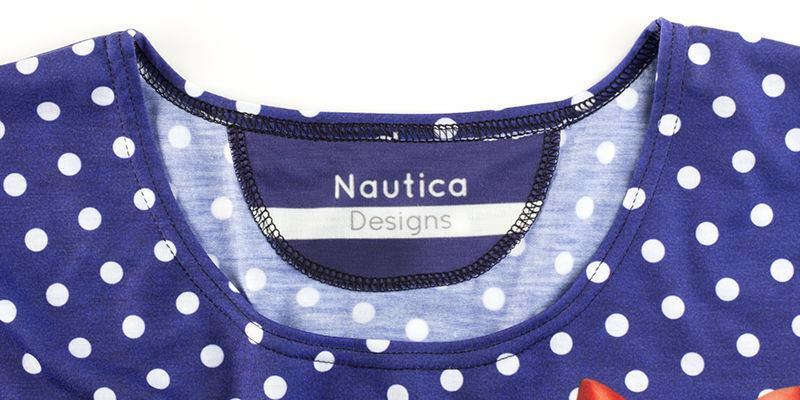 Our printed fabric labels add a great professional finish to your T-Shirts. Made from the same high-quality jersey as the rest of the shirt, these big, bold labels won’t stick up or scratch your neck. Customise with images, text, your brand name, or even a personal message, and make a big impact that’s bound to get customers talking! This designer t-shirt will add a whole new look to your everyday wardrobe. When you make your own t-shirt, you have the ability to make it completely unique. The cut of our Custom Slouch T-Shirt is relaxed, contemporary and stylish and lends itself to many outfits. Team it with your favourite pair of jeans, a pair of sneakers and our Customised Bomber Jacket for a fresh off-duty look or wear with our Custom Leggings and create a personalised workout outfit. Great service I have ordered with contrado multiple times and the quality of their products is outstanding, great service, lovely products, vibrant colors, quick delivery. I would recommend it to everyone! Great!! Perfect, the shirt turned out exactly how it was on screen, good fabric, great fit. Very easy to make and order. Will likely use again. Great t-shirt!! Absolutely love my t-shirt, high quality and looks amazing. Very fast turnaround after I ordered. Sample for Quality and Design I designed and ordered a ladies Slouch T-shirt to give me an idea how the design and colours would print in practice, and to see the quality of manufacture. When the T-shirt arrived I could see that the design needed several tweaks but the colours were as good as I had hoped, and I was delighted withe the quality of the manufacture and speed of service. Am now in the process of building an on-line store for a collection of my designs. Hailstorm in May Ladies Tshirt The print looked great, will get the lighter weight poly next time. I couldn't find my sample pack to check first! What is the fit of this custom made t-shirt like? Our Custom Slouch T-Shirt is so much more stylish than a basic personalised t-shirt. 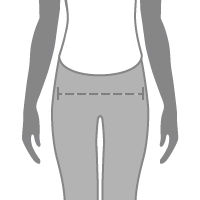 Our team of fashion designers have created a t-shirt pattern, which retains the flattering shape and look of a fitted t-shirt but has more of a boyfriend style and slouchy cut. If you like your t-shirts to look a bit more relaxed, then this is for you. Is printing designs on t-shirts easy to do at Contrado? We pride ourselves on our online design interface, which allows you to upload your designs. It is incredibly easy and fun to use. All you need to do is ensure your designs are on your computer (or Facebook) and follow the instructions when you click "Start Design." Help and advice is always available online, via email or phone. Is this the only personalised t-shirt available? If you are looking for bespoke and one of a kind t-shirts, then we have a few customised t-shirt options available at Contrado. If you are looking for a more relaxed fit, then the Custom Slouch T-Shirt is for you, if however, you want something more fitted, opt for our Ladies Cut and Sew T-Shirt or Long Sleeve Cut and Sew. Shop our selection of distinct designs from Contrado creatives, printed on our comfy Ladies T shirt. Ladies T Shirt "Clouds in Aspic"
Ladies T Shirt "Marbled Ice"
This is our slouch fit Ladies T-Shirt with a much looser fit than our regular Cut & Sew Tee. Our model Andrea is 5'9" with an 84cm bust, 62cm waist, 92cm hip and wears a size Medium.